One more MotoGP podium would put Suzuki back on the same technical footing as Honda, Ducati and Yamaha. Second place for Alex Rins last time out at Assen has put Suzuki on the verge of losing technical concessions for the 2019 MotoGP season. The runner-up finish by Rins was not only the best result of his career, but also the best for Suzuki since Maverick Vinales took the GSX-RR's only win at Silverstone 2016. It also marked Suzuki's fourth podium of the season, which have been split equally between Rins and team-mate Andrea Iannone. Third places in Argentina, Texas and Jerez each count for 1 concession point, plus 2 points for the runner-up finish at Assen, giving a total of 5 concession points so far (a win is worth 3 concession points). Once 6 concession points are reached - meaning one more podium - Suzuki will immediately re-join Honda, Ducati and Yamaha in having a maximum of 5 days of private testing. 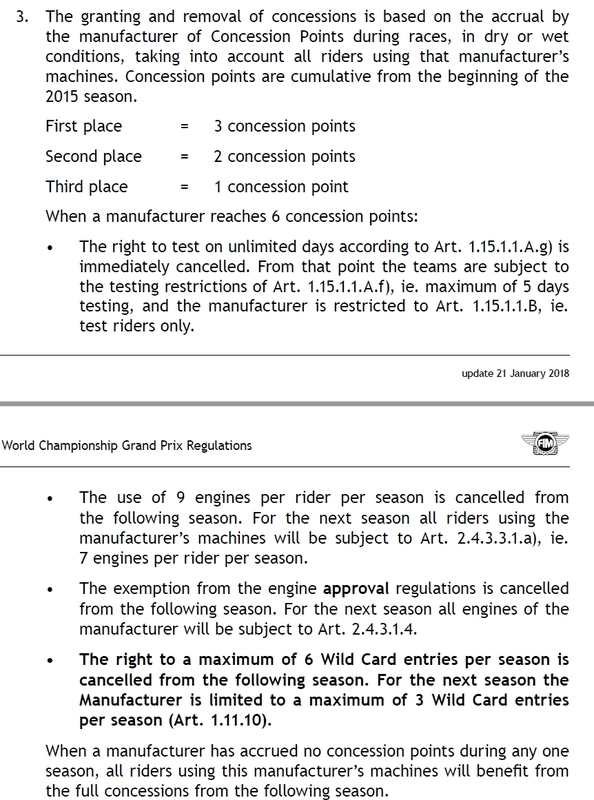 Then, from the following season, they will be allowed 7 instead of 9 engine changes per rider, no exemption from the engine development freeze and a reduction in wild-card entries from 6 to 3 events. "This year has been positive for us so far, thanks to the four podiums," said team manager Davide Brivio. "The German circuit should be a good one for us, as its layout seems suitable for our machine’s characteristics." “I can’t wait to race again in Germany and take advantage of the positive feeling I got from the podium position in Assen," said Rins. "The Sachsenring circuit is supposed to be a positive one for our GSX-RR because it’s very fluid, with fast corners, where we have always been strong." "The layout is suitable for our machine, I think, and it’s also a circuit I like, so we can try to stay in the top positions - which we have been capable of during the season so far," added Iannone. Suzuki has scored 100 constructors' points from the opening eight races, which compares with just 35 points at the same stage of last season and also beats their 85 points from the halfway stage of 2016. Suzuki previously lost the use of technical concessions due to the four podiums by Vinales in 2016. However the rules allow the return of concessions if a manufacturer fails to score a podium during a full season, as happened for Suzuki in 2017. Aprilia and KTM are the other manufacturers currently eligible for concessions. Both are set to keep the perks in 2019, with neither having yet claimed a podium. Rins will be joined by rookie Joan Mir at Suzuki next season, with Iannone moving to Aprilia.